The crest on Crested Ducks arose from a genetic mutation specifically bred into the bird by duck breeders. The mutation is a deformed spot on the skull which gives rise to the topnotch. 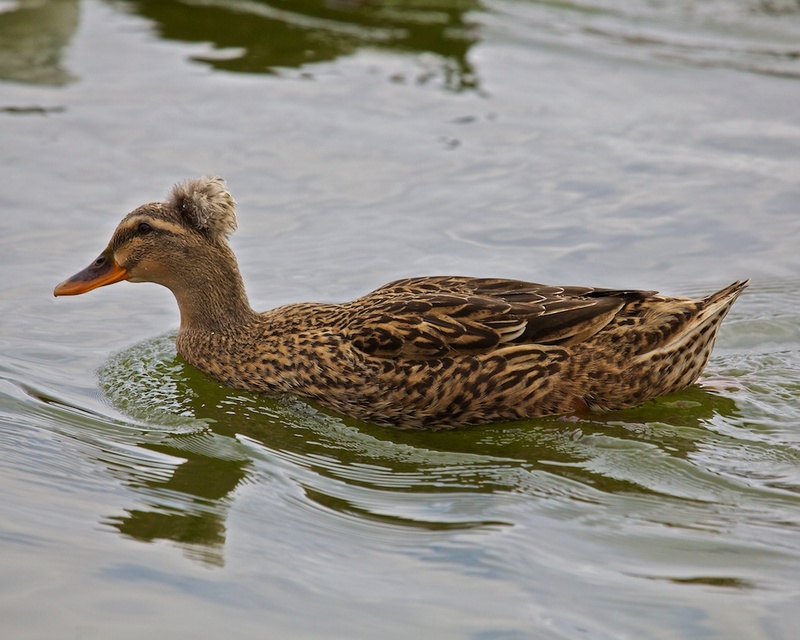 It seems a quarter of all Crested Ducks die when they hatch because the crest is not properly formed and leaves the duckling’s brain fatally exposed. They are cute though. To my thinking, you can’t go wrong with the color orange. That God saw fit to paint the dusky skies with this color is just sweet. 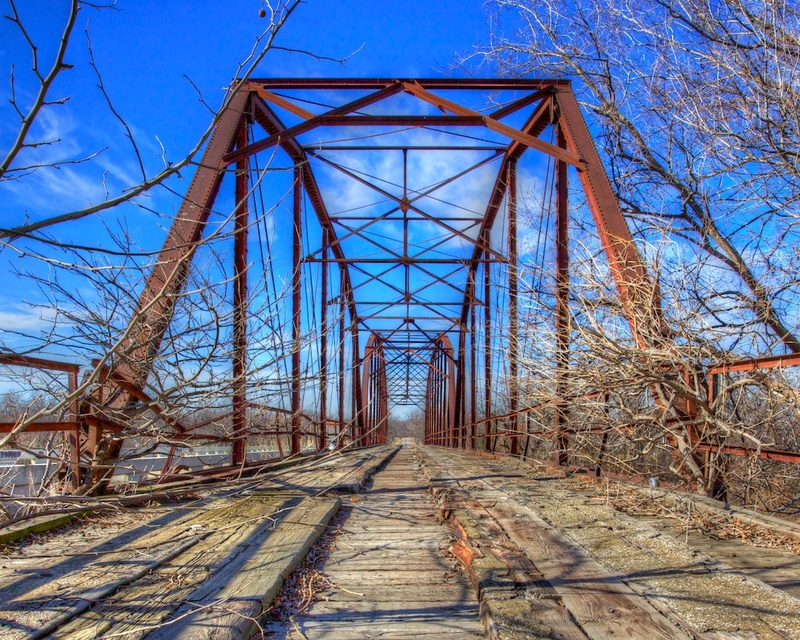 This 1910 truss bridge over the Verdigris River on old highway 88 is composed of two spans. The first is a pin-connected 10-panel Parker 209-feet long. The second, a 120′ six-panel Camel-back, also pin-connected. Its no longer open to traffic of course, but safe enough to walk on if you mind the few holes in the flooring. I posted about the Red-tailed hawk a while back. This one likes to take up watch on this sign post not 10 feet from a busy highway. It will stay there for long periods of time with traffic whizzing by, but if you stop within 50 feet it will take off. I had to park in a lot across the street and shoot between the passing trucks to have it sit still long enough. 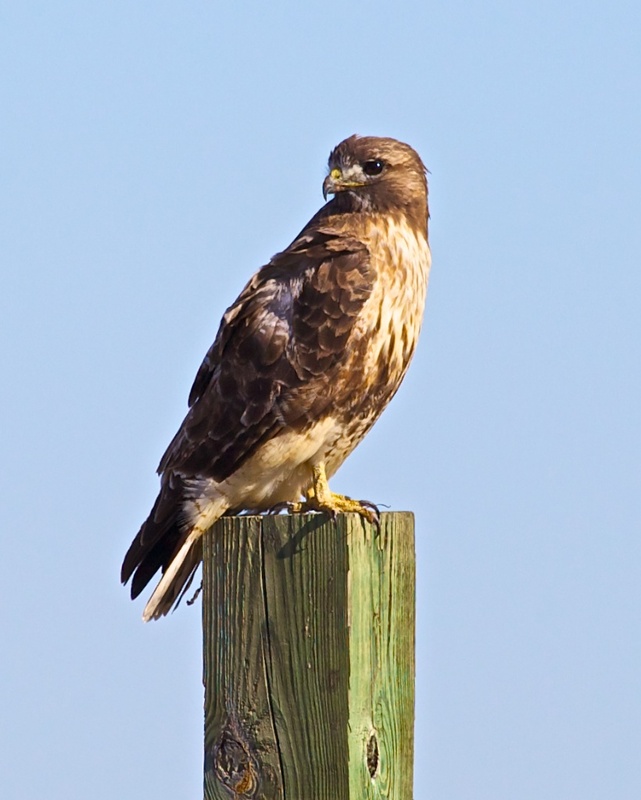 These hawks are legally protected by the Migratory Bird Treaty Act. 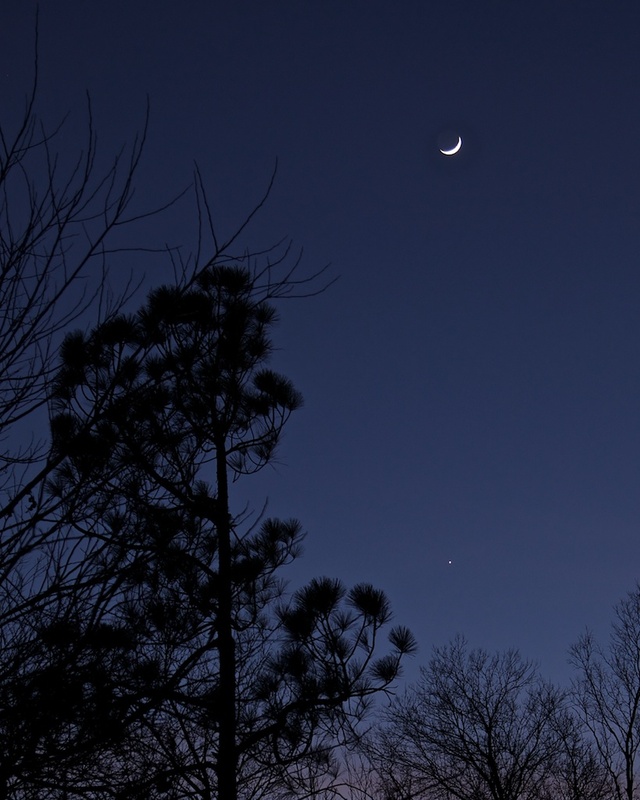 Tonight the moon crossed paths with Venus in the twilight sky. I had hoped they would appear closer together but this is what we got. I’m not at all satisfied with this photo but hey, it was cold out! 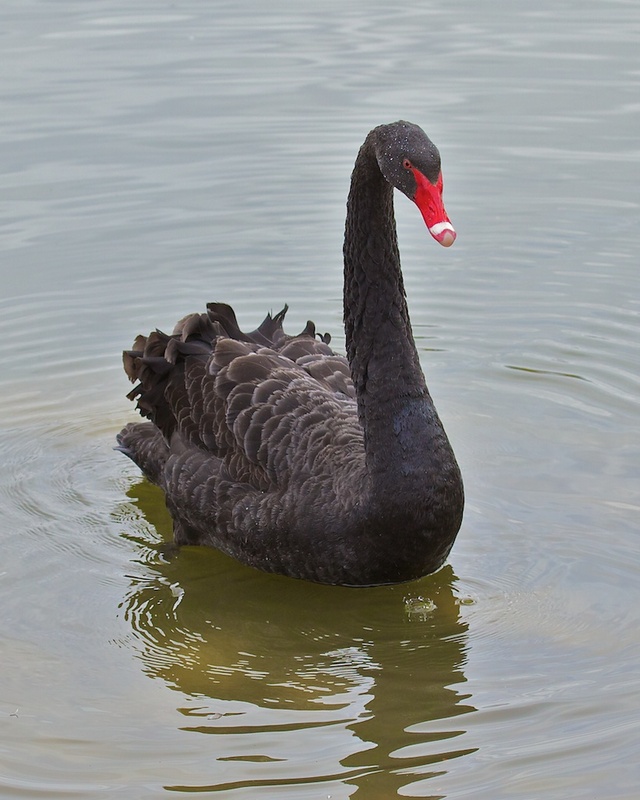 The Black Swan (Cygnus astratus) is native to the southern parts of Australia, so finding this lone bird in a small lake populated by about 150 ducks and geese means it was placed here by someone. I’m wondering if it has an identity complex, being around all these smaller foul. They need to find a mate for this one to make things right. 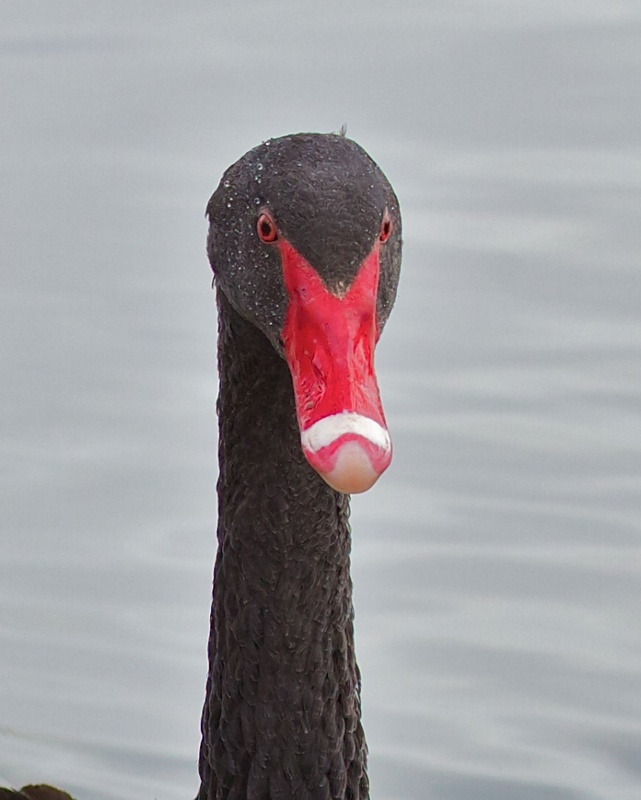 The red bill and eyes contrasting the black feathers make this an awesome looking bird. These swans may grow to as much as 20 pounds. 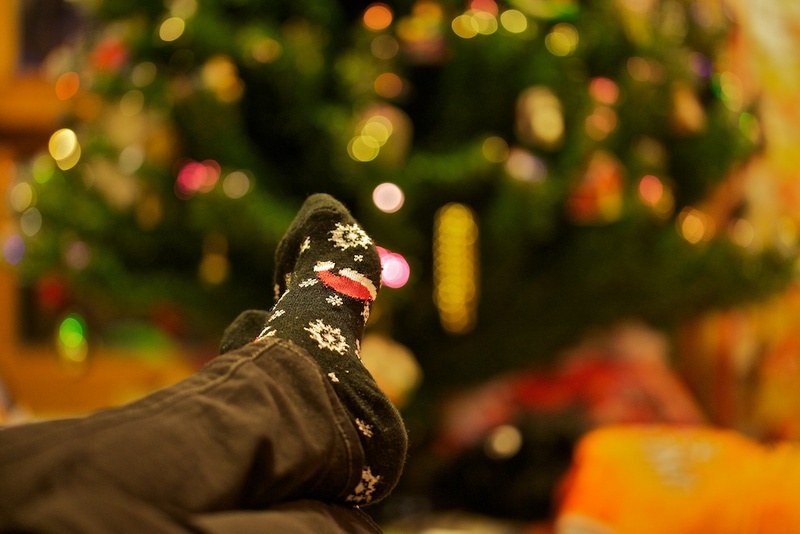 This is the kind of christmas we had around here. Pretty laid back, except for the antics of a five year old Whirling Dervish boy! I was looking for something Christmassy to photograph and I saw a similar picture on a young lady’s photo blog. I liked the feelings generated by this type of shot.